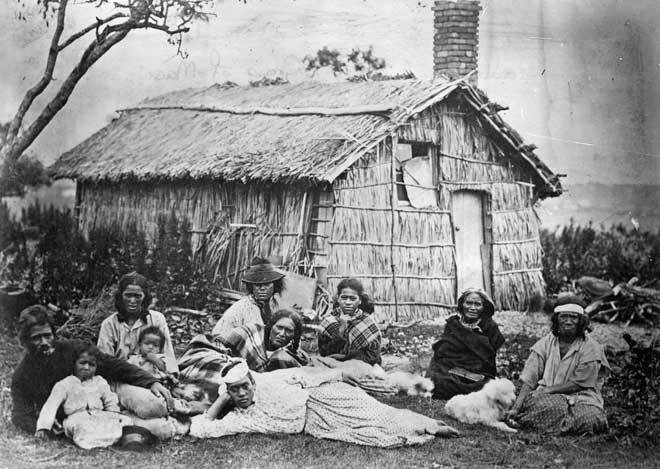 A family relaxes outside their whare near Auckland in the 1870s or 1880s. The whare might be described as a hybrid dwelling, with both Māori and European attributes. The roof and cladding are of traditional materials, but the higher walls, wooden door, glazed window and brick chimney are European features.